Mayor Bill De Blasio is in hot water for saying “I was running on C.P. time” in what was a scripted skit involving “Hamilton” star Leslie Odom Jr. and Hillary Clinton. The city is up in arms. In typical Hillary fashion, she is putting the blame on De Blasio for the skit. I don’t think De Blasio has a racist bone in his body. I do think, however, that he needs to have his black privilege checked and Chirlane is the one to do it. Adam and I have been together for almost 6 years. I’ve now picked up lots of Jewish things. I know several Jewish prayers and know every holiday. When people talk about Judaism, I feel like they are talking about something that I hold dear to me. It didn’t happen by choice since I’m not really into religion. It happened by osmosis. Adam has also picked up lots of Trinidadian things. He now eats roti with his hands and is well on his way to learning how to wine. He also is obsessed with my granny’s lethal Trini pepper sauce. When you spend a long time with someone in a relationship and appreciate their culture, chances are the lines become a bit blurred. This is not a bad thing in the least. I love that Adam appreciates my culture and now understands most of it. It’s a sign of mutual compromise and love when a partner develops an appreciation for the things that matter to the other person. Adam is very culturally sensitive but we have totally had instances when he would look at me and ask, “Too much?” and I would say yes. There are times that he thinks of jokes that I would make about my culture and I would have to put the brakes on it. And vice versa. I have full appreciation for his Judaism and he has full appreciation for my Trini roots. However…..I am not Jewish and he is not Trini and that needs to be respected. We check with each other when we might be crossing cultural lines. 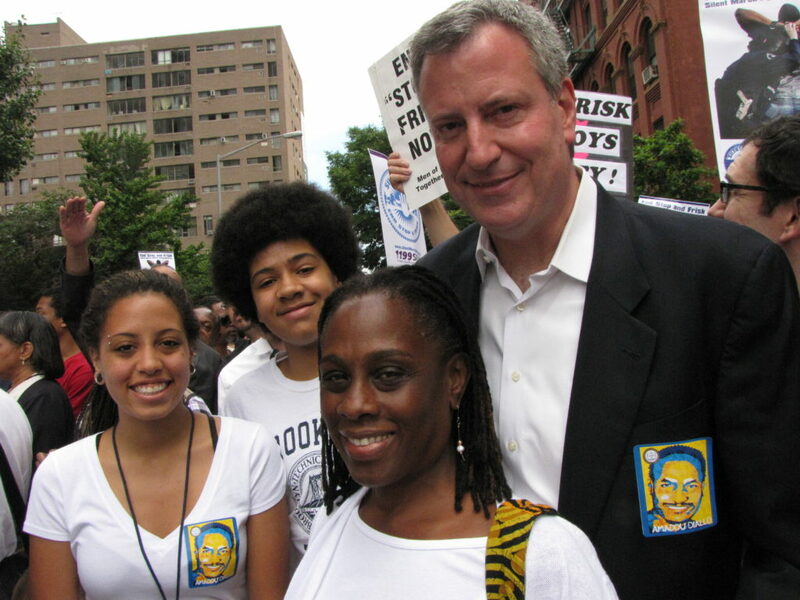 I am guessing Chirlane does not review De Blasio’s public speeches/skits. It’s a real shame that nobody raised a red flag about that comment before it went live and that is a bigger problem. He wasn’t being racist but he was being inappropriate. He needs to find that space where he appreciates black culture without feeling so comfortable that he would make fun of it. Trevor Noah places the blame partly on Hillary for this but I don’t expect much from someone who implied that young black people are potentially super predators. Noah notes that they’re not being racist. They’re just too comfortable. As his black wife, though, Chirlane is the reason Bill felt comfortable enough to say that and that’s not necessarily a bad thing. It simply means what we all suspect….that he is closely connected to the black experience because of his wife and kids. What can be done to fix this faux pas for Billie? I would suggest a cultural sensitivity class or two and a stern convo with Chirlane but that’s about it. It’s very natural for people in relationships to blur their cultural lines. If a white man is to be mayor of New York, I would much rather have him be too culturally in tune with the black experience than not at all but, for crying out loud, get a black person to proof-read your skits!